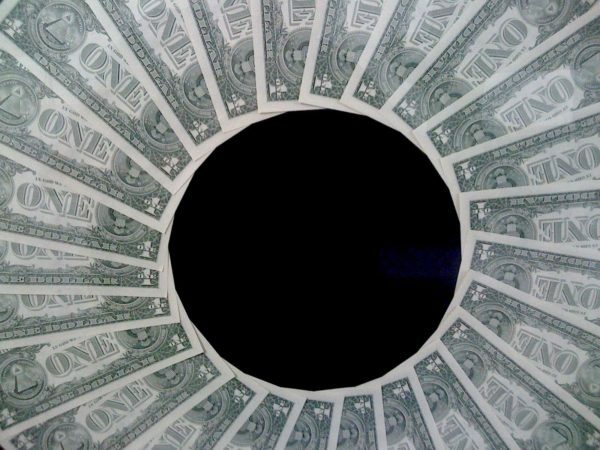 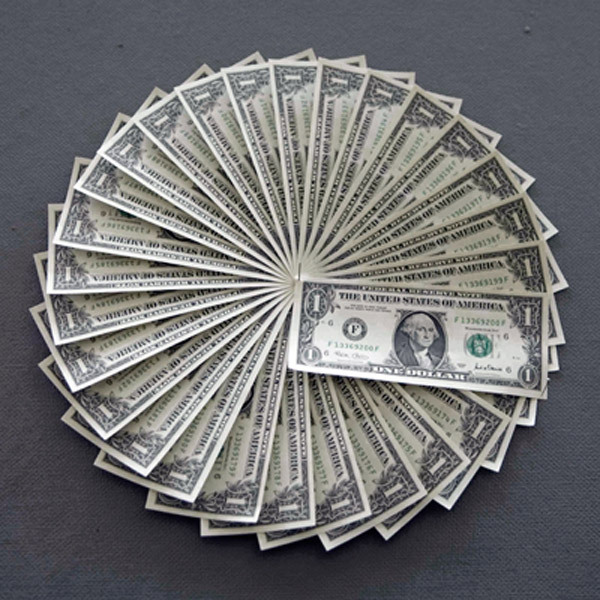 Circle composed of 20 banknotes. Different currencies available on demand. 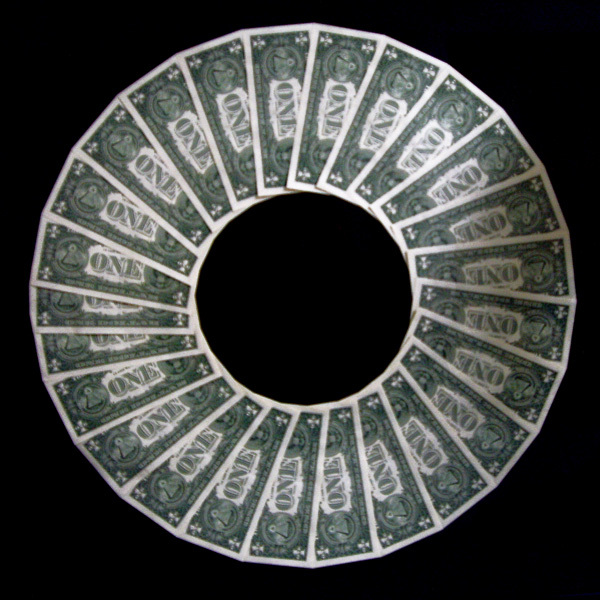 Limited edition for “Out Of This World” Art-Space, 2009.